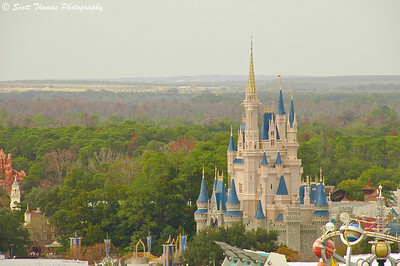 Original photo edit of Cinderella Castle in the Magic Kingdom, Walt Disney World, Orlando, Florida. This week I got all caught up with the event photo processing from the last three weekends. To celebrate, I grabbed this fun app from MacPhunn called FX Photo Studio (Only $9.99 from the Mac App Store). This app can import directly from iPhoto, Aperture and Lightroom libraries eliminating the need to export the photos first. I had a lot of fun going through the 172 different special effect (FX) filters. 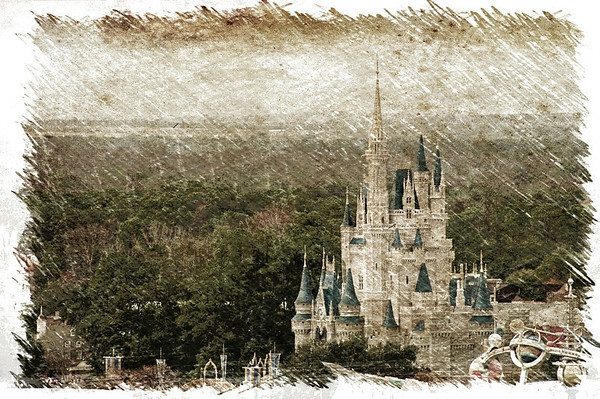 To demonstrate, I used this photo of Cinderella Castle I took a few Walt Disney World trips back and applied a some FX Photo Studio filters. Fun, eh? 🙂 You can use more than one at a time making numerous special effects which you can then save as Presets to be recalled in the future. Oh, don’t have an Apple computer? Do you have an iPhone, iTouch or iPad/2? FX Photo Studio is also available for your iOS device for $1.99/$2.99. Click Here for a review of FX Photo Studio 1.1 for the Mac by Derrick Story. This entry was posted in Photography and tagged app store, apple computer, cinderella castle, derrick story, florida, fx photo studio, ios, ipad, ipad2, iphone, itouch, macintosh, macphunn, magic kingdom, orlando, osx, review, walt disney world. Bookmark the permalink. 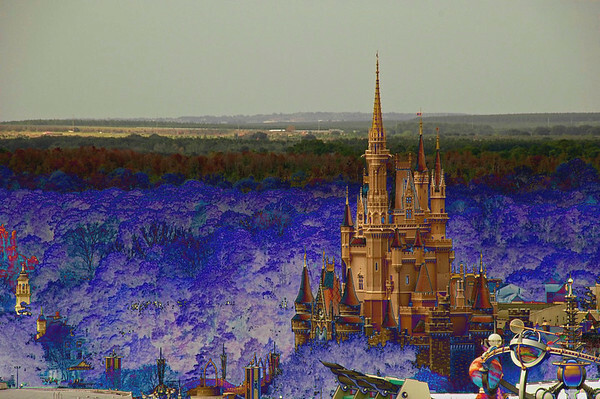 Solarize really pops the castle of the four different versions I posted. Looks fun to play with – I do have an iTouch, perhaps I will play too! Oh, you must. A couple of bucks for hours of fun. It’s a steal. Now that is way cool! I like the textured look and serves well with this photo. I really like the first and third images…. very, very nice! These are a poor man’s PS filter. Thrilled that you like some of these, Anna! Sadly I don’t have any of those fancy gadgets, I do love the Ancient Canvas FX Filter. Maybe you will someday, Nye. I really like how the Ancient Canvas looks, too. From the names I expected that I wouldn’t care for the Color Comix filter, but it turned out to my favorite. It looks like the pen and ink and watercolor drawings from beloved children’s books. That was my first thought, too. I think it’s the subject matter. 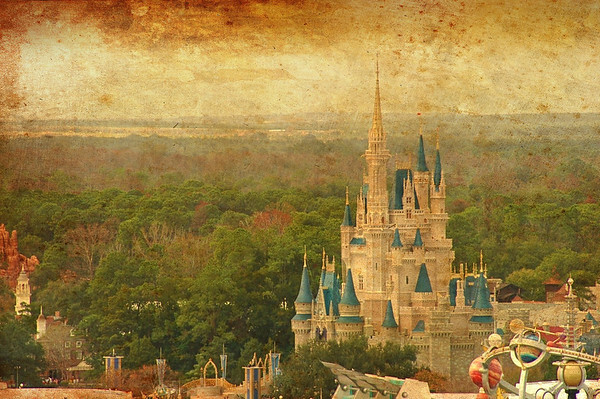 Castles are a big part of such stories. At least another 168 possibilities. 🙂 You’re welcome, Kathy. I like the first two filters the best, but stil think they are a little overpowering, especially the second one, as it takes too much detail away from the photo. The first one looks like a really old postcard. Many of the other filters were even more overbearing. The iPhone app has a way to mask in or out the special effects. The Mac version will be updated soon with that capability. 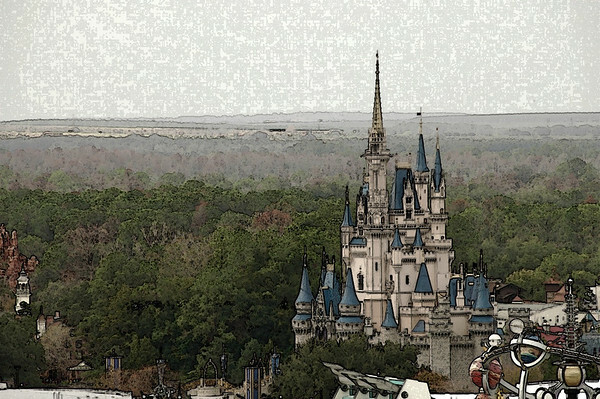 That way I could have masked out the effects over the castle in the second one.